The Five Nations Care Forum is an alliance of the professional associations representing the care sector across the UK and Ireland. 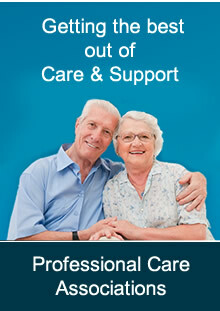 Together we represent 11,000 care providers, who support over 600,000 people in a variety of settings. Through a collective commitment to information sharing, joint lobbying, shared learning and support, the aim of the Five Nations Care Forum is to add value to members’ activity by promoting the interests of service recipients, staff and service providers. The Forum seeks to encourage the development of a joined-up approach to matters which have a UK-wide or European dimension. The Five Nations Care Forum is committed to work in partnership and in a spirit of co-operation with all stakeholders – Government, Statutory Agencies, Regulators, service users and our members to design, fund and deliver high quality health and social care services to those who need it. The fact that people are living longer should be celebrated and is a measure of the advances in living standards, technology and treatment of medical conditions. Across the Five Nations we are experiencing an increasing ageing population similar to many countries worldwide and we need to develop a range of policies to address the challenges and opportunities this presents – arguably nowhere is this fact clearer than in the area of health and social care. This pressure is likely to increase in the coming years based on the demographic, social and economic pressures, particularly since more people will be living with several long term conditions. Community based care provides a more appropriate and affordable alternative for individuals whose specialist care needs would otherwise have to be met in an acute hospital setting. Significantly the costs of providing this care in an acute hospital are a multiple of between five and eight times the cost of the more appropriate care in the community. By any comparative measure the independent sector represents the best value option available to governments for meeting the health and social care requirements of our populations. However, the harsh reality is that the State wants to purchase care from the independent sector at fees which are significantly less than what it costs the State itself to provide such care. Critically policy makers need to ensure that the system strikes a balance between ensuring ‘value for money’ whilst also acknowledging the costs and ensuring the sustainability of the independent care sector. Whilst the sector is characterised by committed and resilient care providers and care workers, it is undoubtedly the case that any further reduction in fees and failure to acknowledge the ‘True Cost of Care’ threatens the sustainability of current provision. The Five Nations Care Forum reiterates public policy at national and local level must provide a coherent framework of health and social care planning, funding, innovation, regulation and service delivery. It needs to be based on inclusive dialogue with providers and all stakeholder groups on an equal basis. A major contributor to the current chronic and ongoing crisis in our acute hospitals is the number of beds occupied by patients who have completed their acute care but have not been discharged because arrangements for their post hospital care needs have not been put in place. This care may involve ongoing care in step-down facilities, long term residential nursing care or the provision of home care packages. The range of services and options across the continuum of care needs to maximise and respect the principle of choice for older people. The care needs to be delivered in the community and the care provided based on need and not on ability to pay. Governments must commit to engagement with care providers through their organisations to work together to agree and publicise what are reasonable fees to meet an individual’s care needs and commit to commissioning based on outcomes. Care services including nursing home care must be fairly funded and public care funding must be sustained at a level that meets the true cost of providing high quality person centred care as well as facilitating innovation and investment in service development. The independent care sector is a vital part of health and care service provision, a significant employer, contributing significantly to the national economy and has major potential for future growth and development. However, the sector needs to be actively supported by public policy and to be prioritised within public spending in order to enable this growth and development. Care funding models and levels must ensure a level playing field between the independent sector and the public sector in order to ensure efficiency and best value for the public purse. There is an immediate requirement for regulatory oversight of commissioning to ensure that commissioning is based on care requirements and not solely on price. The Regulation of social care commissioning and procurement should be the responsibility of the Care Regulatory Bodies in each jurisdiction, alongside the existing systems of commercial and financial regulation. There are significant and fundamental challenges to be addressed about how future health and social care staff will be recruited and retained in sufficient numbers as demographic pressures mean a smaller proportion of younger people in our population. Workforce planning and workforce development are essential factors in the delivery of high quality care. The provision of high quality care is dependent on the quality of motivated and well trained staff who are valued and supported. Recruitment and retention, training and qualifications, continuous learning and skill development and appropriate reward all have to be part of a Workforce Plan to meet current and future needs. The Five Nations Care Forum commits to raising the terms and conditions and professional standing of social care staff, where staff are valued and rewarded for the professionalism and contribution to high quality person centred care. Immediate engagement is required from the state with the independent sector in establishing a new advanced care practitioner role to address the nursing shortage crisis in nursing and care homes. There is an urgent and imperative requirement for immediate engagement with all stakeholders to deliver a workforce plan for the entire health and care service – public, private and voluntary. Older people are disadvantaged and discriminated against compared to children and younger adults. This discrimination takes many forms, and includes resource allocation, care planning and a poverty of expectations ambitions. The way in which older people services are commissioned is based primarily on process and physical need, rather than well-being and quality of life. Despite this systemic inequality, care providers strive to deliver high quality and person centred care and call for equality of access and ambition for older people.